What Happens to the Brain During Creativity? At the main bus stop, at my university Technion, there is a set of bookshelves, where people drop off unwanted books and others browse and take them. I’ve put a great many books there and they always disappear quickly. One day this week I noticed some rather old copies of Scientific American. I took two of them, to read while on the bus. One of them had a fascinating article by Charles J. Limb, a surgeon who plays saxophone, does cochleal transplants, and loves John Coltrane. (The article was in the May 2011 issue, nearly 6 years ago). Using FMRI (functional magnetic resonance imaging), Limb asked, what happens to the brain when jazz musicians improvise? 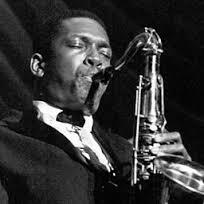 Coltrane, legendary tenor sax player, did incredible improvisations. How? Why? Brief summary? Want to create? Turn off all inhibition, judging, evaluating, good or bad. Turn them off. Activate your own self, self-awareness, self-expression… express who you are, what you are, tell your story. John Coltrane was creative, had ideas…but he had technique, he mastered his instrument so that he could effortless IMPLEMENT his creative ideas. You need both. Discovery (creativity). And Delivery (practice, practice, mastery mastery!). That, according to Limb, is creativity. « Snap – Netscape On Steroids?